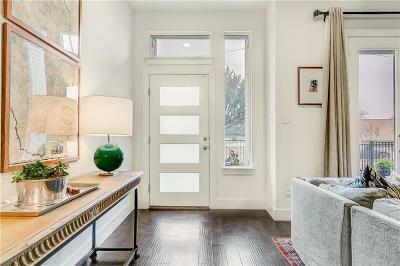 Fabulous modern aesthetic town home within walking distance to the new Dickies Arena and the Bricks of Camp Bowie. Built in 2017, this home features three bedroom and two and half baths, large open floor plan on main level with gourmet kitchen, living and dining space with an island for a breakfast bar. Upstairs balcony off master bedroom and interior courtyard off the front porch area.